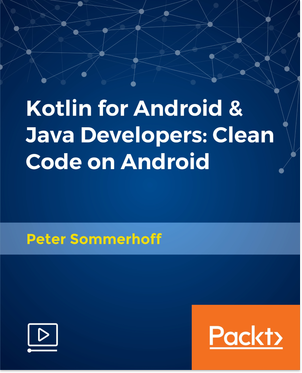 Kotlin For Android & Java Developers Clean Code On Android | Free eBooks Download - EBOOKEE! Posted on 2018-02-02, by everest555. Kotlin is a modern language for the JVM, and the only officially supported language on Android besides Java. It's developed by JetBrains, the makers of IntelliJ on which Android Studio is based. Since Google's announcement to officially support Kotlin in 2017, interest in the language has radically increased - and with it the number of tutorials, courses, books, and also job offers for Kotlin. It's a great time to dive into this modern language and get ahead of other Android developers! With its modern language design that incorporates industry best practices, Kotlin allows you to write highly expressive, understandable and safe code - while being 100% interoperable with Java. You can use any Java classes and methods from Kotlin and the other way around. This course shows you what language features I mean, and how you can apply them in order to write world-class code. Learn to use Kotlin the right way to actually improve your Android app code write null-safe, concise, and readable code in Kotlin using functional and object-oriented concepts workaround unnecessary boilerplate code when using Android APIs (e.g. SQLite) using higher-order extension functions, use Android Studio effectively to speed up your development workflow, get your questions answered along the way should you ever get stuck. No comments for "Kotlin For Android & Java Developers Clean Code On Android".